Just got back to Nepal a couple of days ago! The old principal from Kopila Valley picked me up from the airport, where I received the VIP treatment getting whisked to the front of the security line and quickly getting out of the airport. After catching up with him for some time, I met with our beloved travel agent Rijen, along with Michelle and Pujan the owners of Hotel Courtyard. After one very jetlagged night sleep, I made my way to the airport and ultimately to Surkhet. Since getting back its been a whirlwind! So much catching up, and so many hugs to give. It really is like walking into the happiest place on earth, with enough love and smiles to last a lifetime. 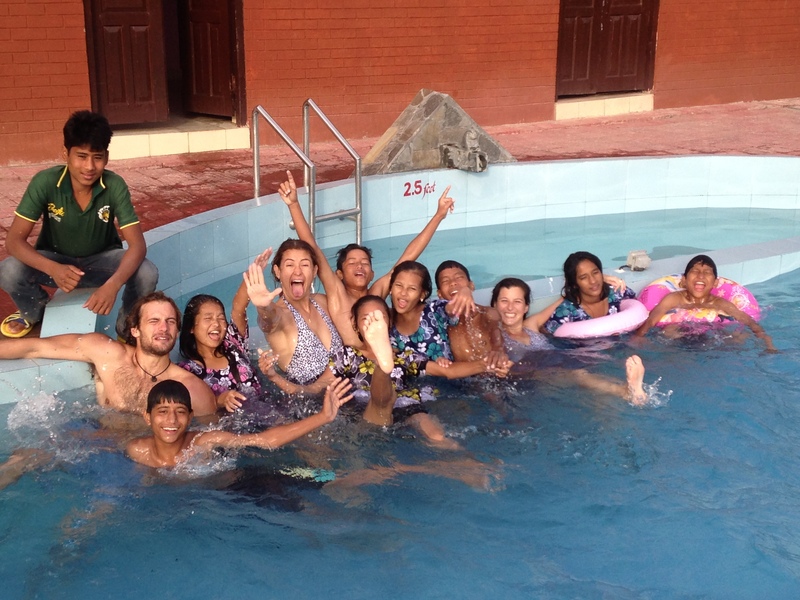 Just yesterday we went to the pool at Shani Village resort, with some of the older kids and did swimming lessons. It was such a great afternoon, and I had a blast catching up with everyone! As for OdaKids I will be sure to pass along more updates soon, however, as with everything in life plans tend to change and evolve with time…and I’m in the process of working on that evolution now! While I figure everything out, I’m just so happy to be back in Surkhet a place that I love with the people that I love…the people and the place that made me fall in love with Nepal in the first place.